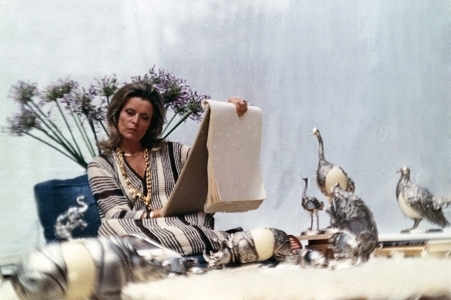 Gabriella Crespi pioneered modern interiors in the 1960s and 70s with her shiny bronze tables, futuristic sculptural designs and fine Italian craftsmanship. Sleek, sculptural, sophisticated...Italian designer Gabriella Crespi infused her furniture, home décor and accessories with elegance, fine materials and enlightened craftsmanship to synthesize beauty and functionality. 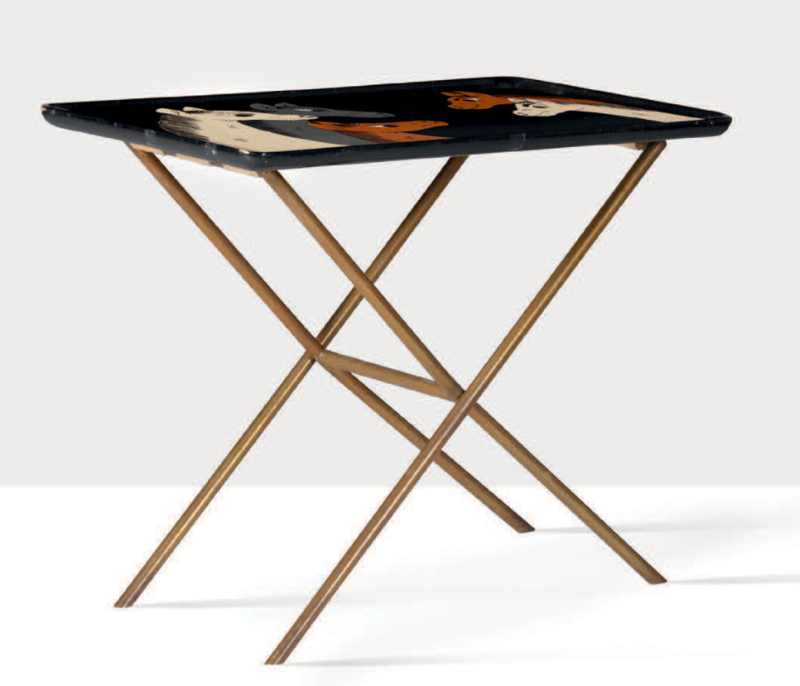 Tray table, painted wood, brass, c. 1970. Gabriella Crespi. Gabriella Crespi was born in 1922 in Saronno, Italy, outside of Milan. She studied at Academia di Bella Arti and the Polytechnic Institute, both in Milan, before launching her design career in the 1950s. 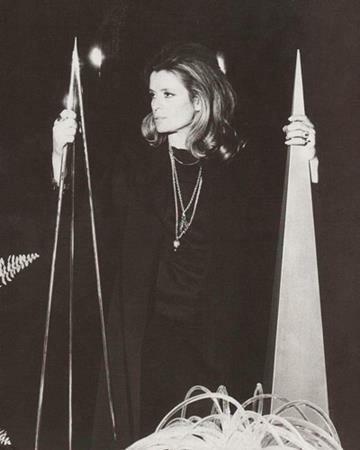 Her first success was the "Small Lune Collection," consisting of steel, crescent-shape sculptures inspired by the phases of the moon. These pieces were exhibited in Milan and Nancy Hoving, the wife of the owner of Tiffany & Co., purchased her works. 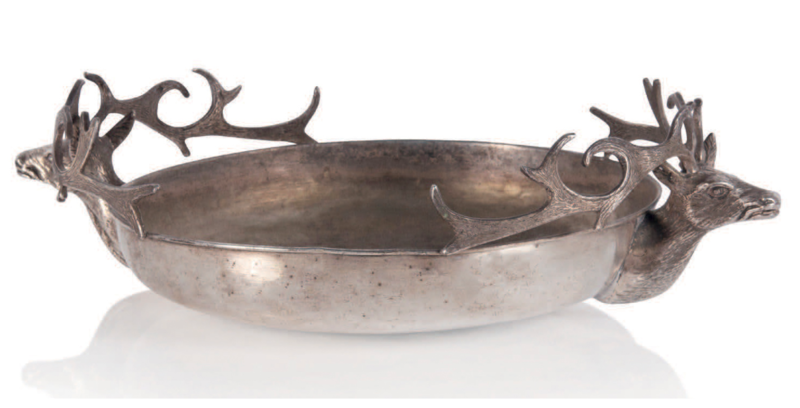 Silver brass bowl for Christian Dior, c. 1970. Gabriella Crespi. Her growing visibility led to a collaboration in the 1960s with Dior, who hired her to design a line of small home décor and accessories for them, and later furniture. Her work for Dior and emphasis on fine materials and elegant aesthetics cemented her as a glamorous designer in the latter half the 20th century. Her designs were collected by famous figures like Audrey Hepburn, Grace Kelly and the Iranian Shah Reza Pahlavi. In 1970, Gabriella started working with her daughter Elisabetta and further expanded upon the Plurimi series that she had introduced in 1968. 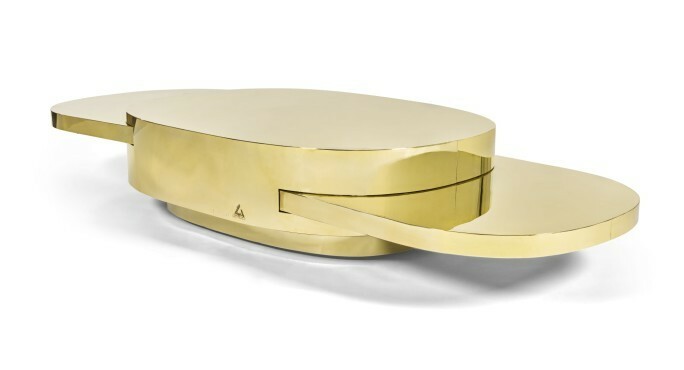 These iconic designs were sleek and futuristic, described by Elisabetta as "a series of tables made of polished, shiny golden brass." 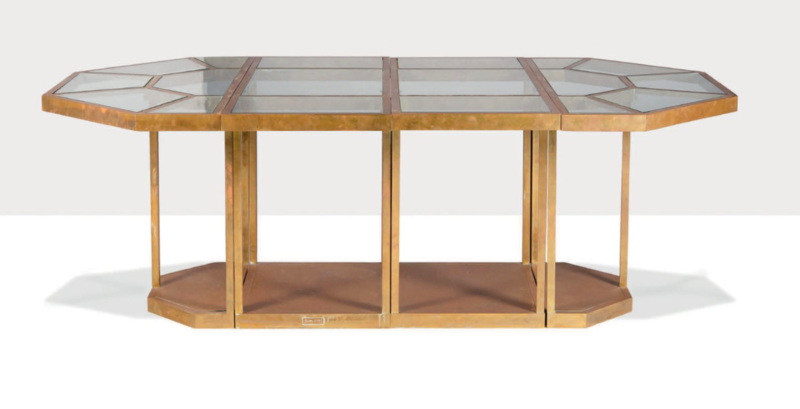 Dining table in glass and brass, 1973. Gabriella Crespi. The 1970s marked the zenith of Gabriella's career as she continued to work with Dior but also branched out into her own lines. Her best known series include the 'Z' series (shiny bronze tables and desk with legs in the shape of a Z), the 'Obelisk' (the tall triangular-shaped sculptures) and the "Caleidoscopo" lamp made with stainless steel and plexiglass. By 1987, Crespi had retired formally and moved to the Himalayas. However almost 30 years later she revived many of her most iconic designs. She died in 2017 at the age of 95, but her mid-century modern aesthetic and sophisticated eye for sleek contemporary style has come to define many elements of 21st century design. 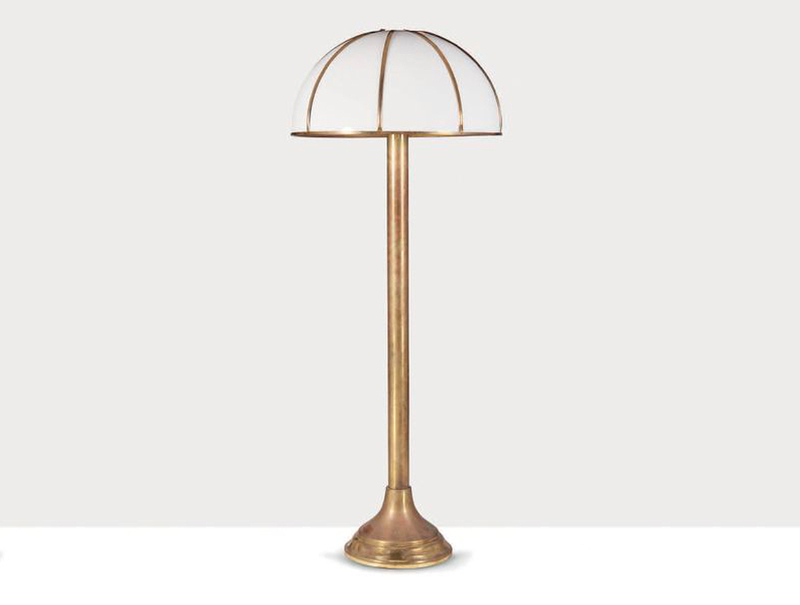 Floor lamp, brass, opaque acrylic, 1973. Gabriella Crespi. To bid on Gabriella Crespi's designs, don't miss Aguttes design sale on February 12 in Paris and online. See all Aguttes lots on Barnebys !